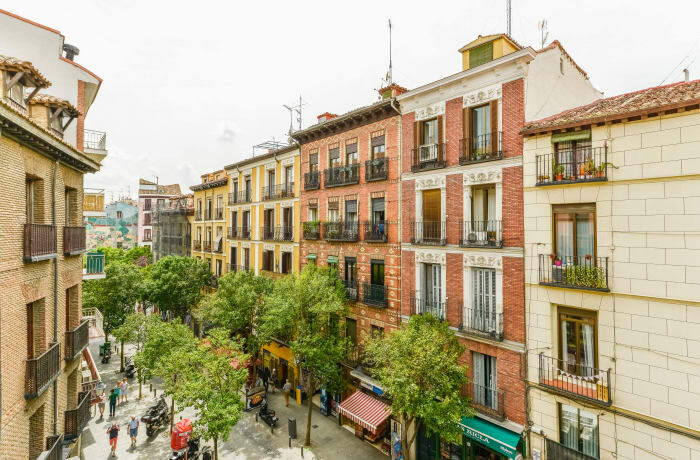 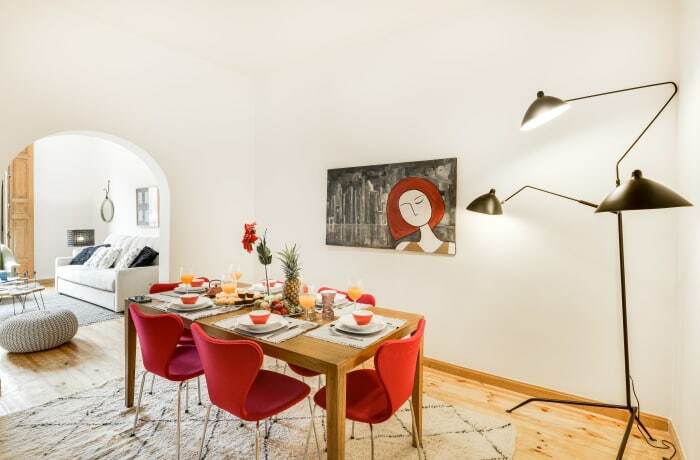 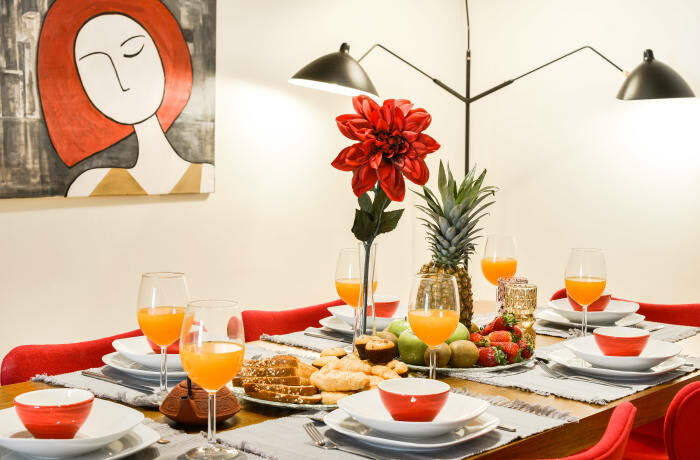 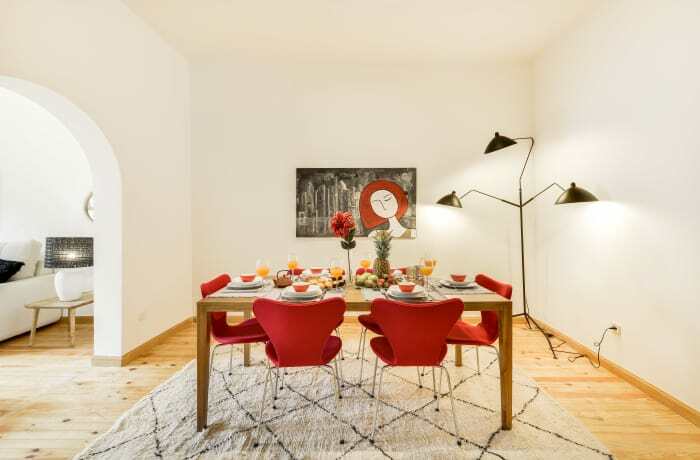 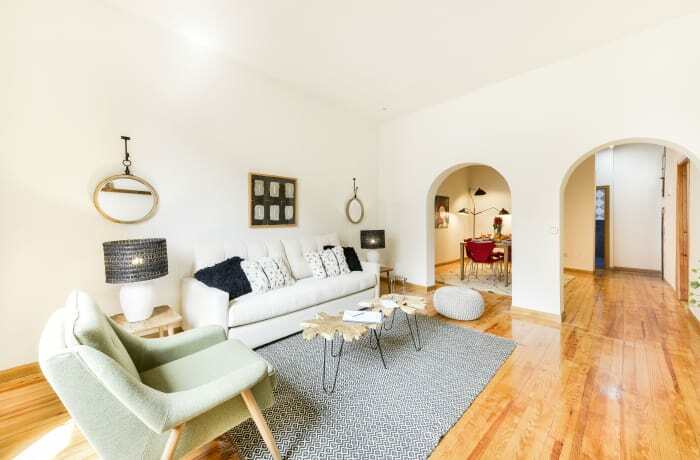 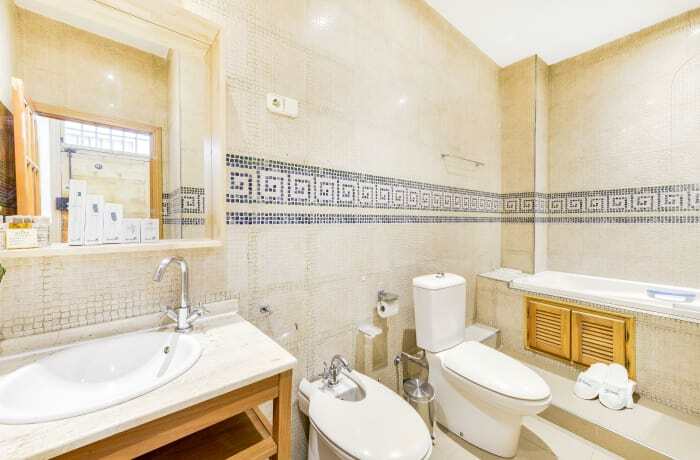 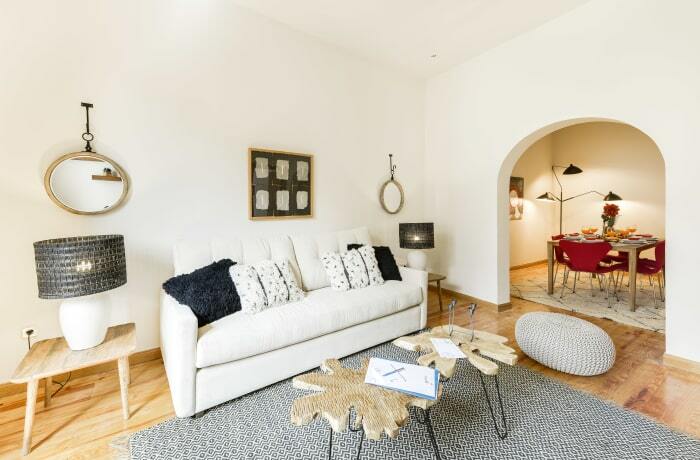 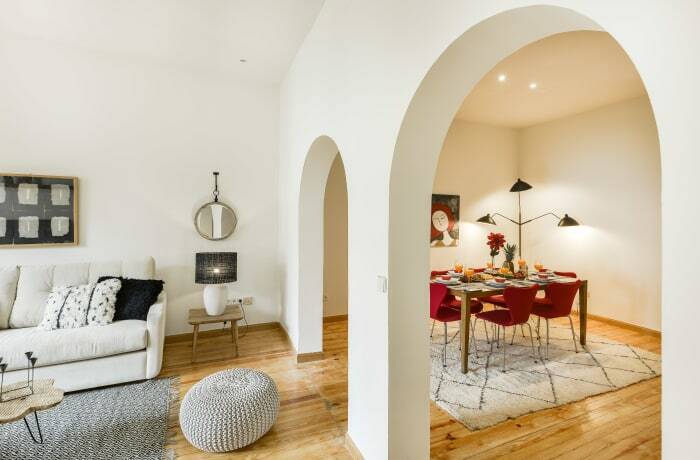 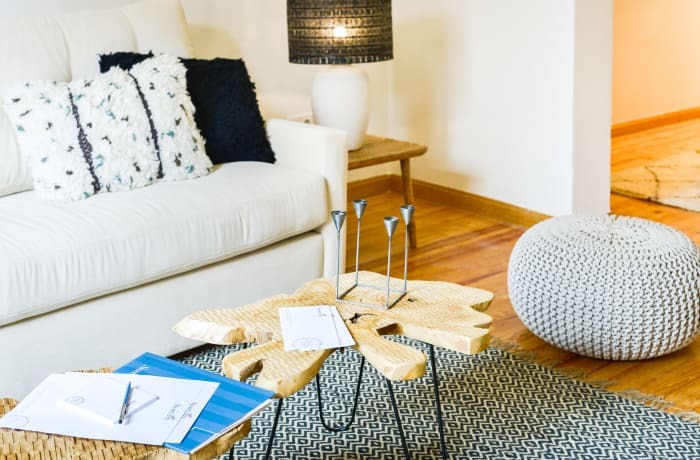 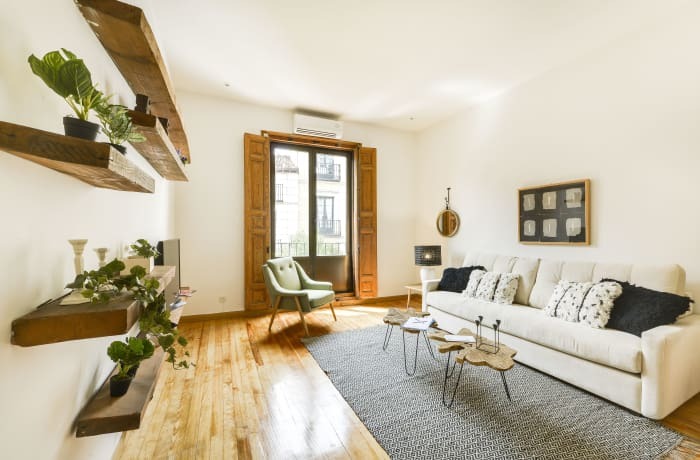 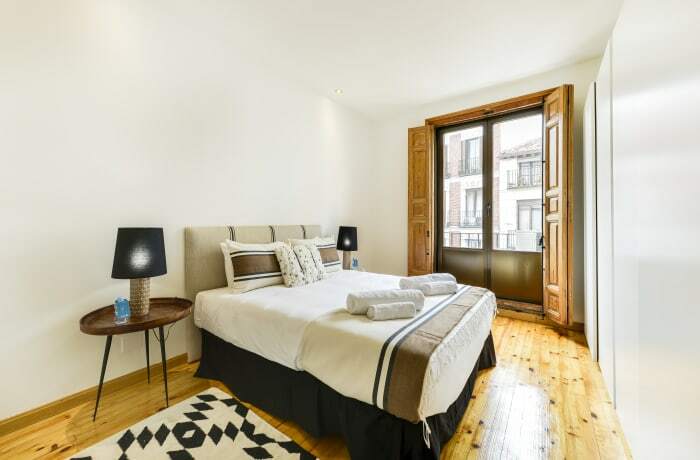 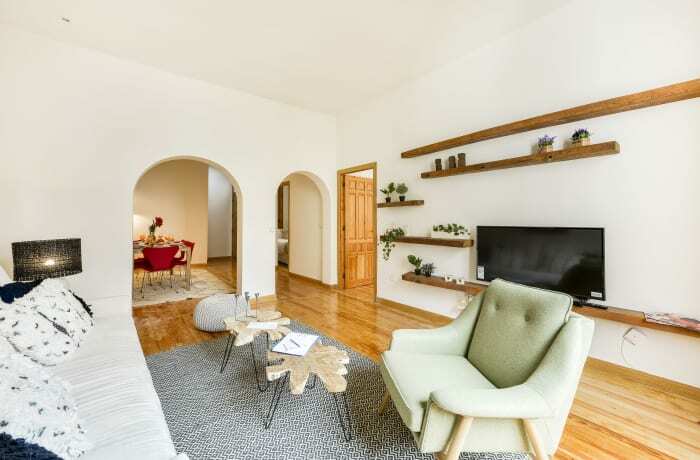 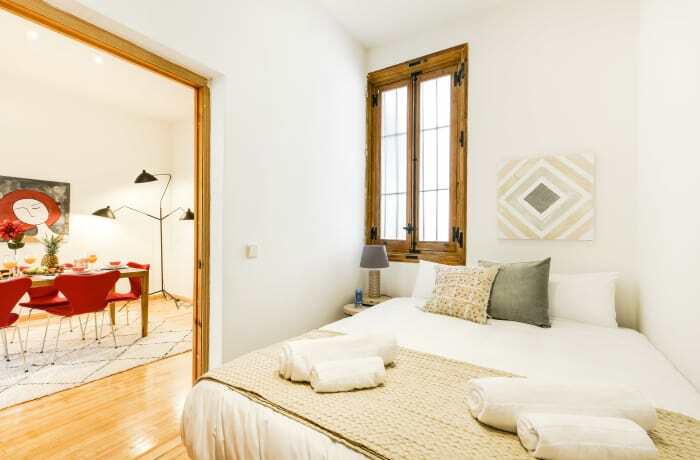 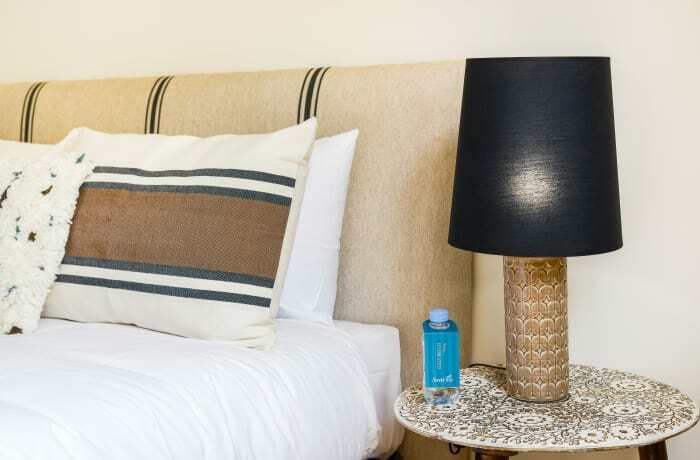 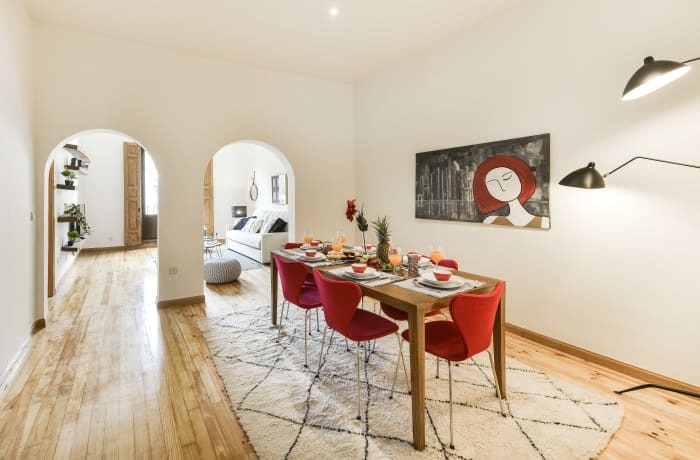 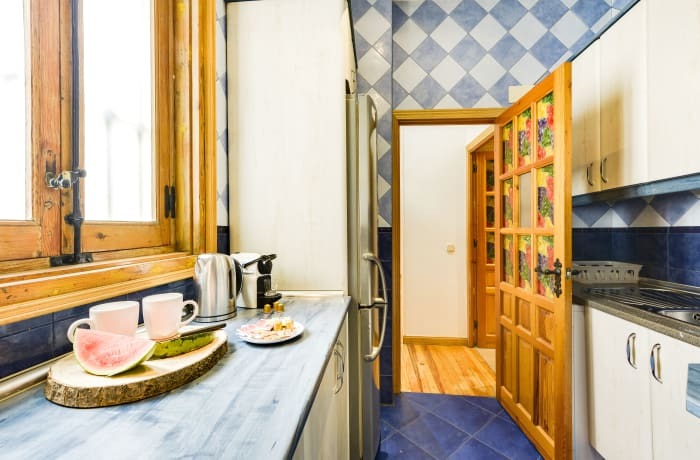 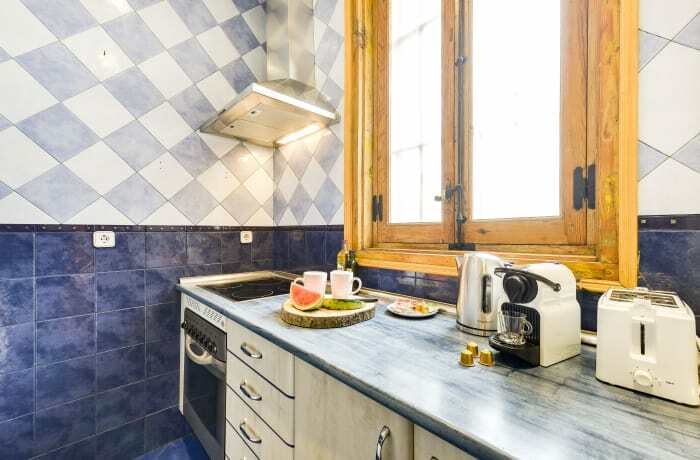 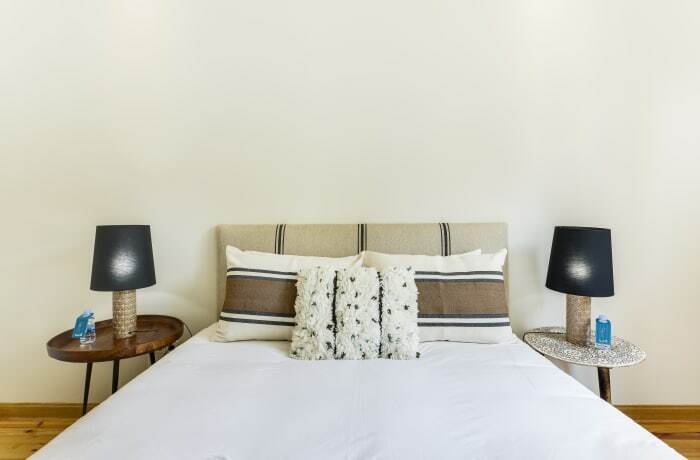 In the historic La Latina neighborhood, the 2-bedroom Toledo Plaza Mayor apartment brings the unique beauty of Madrid to you. 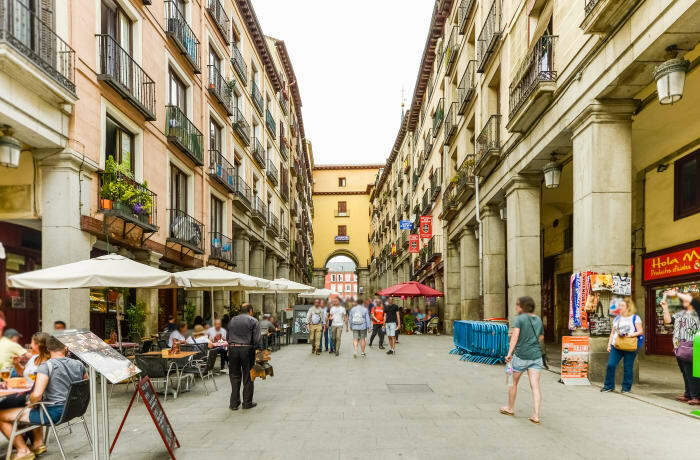 La Latina is known for its old-world plazas and authentic Spanish food, and along the streets you’ll find some of the city’s best tapas bars. 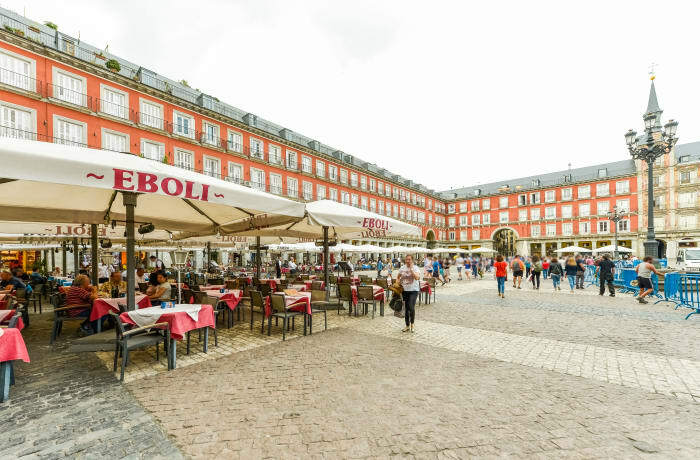 The famous Plaza Mayor is only steps away (3 min). 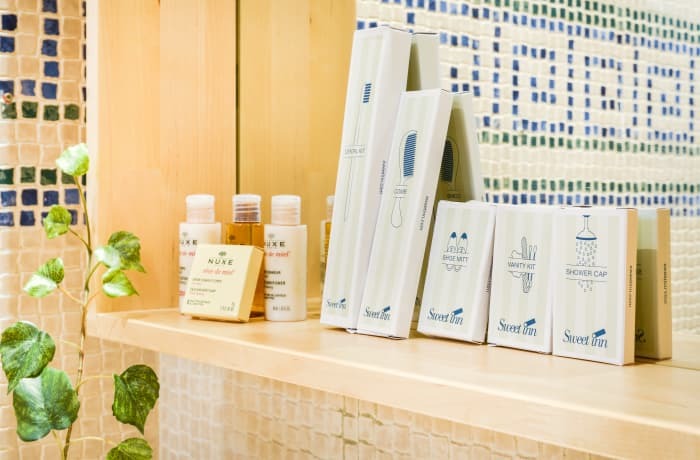 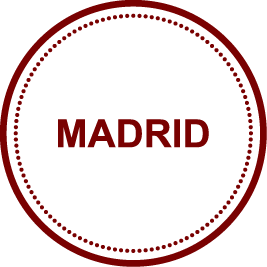 Stroll to the Puerta del Sol (7 min) or the Royal Palace of Madrid (9 min) for world-class sightseeing. 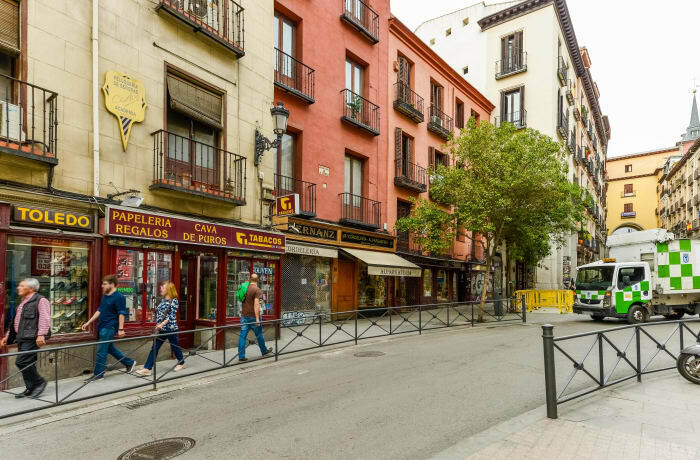 The La Latina and Tirso de Molina subway stations are close (4 min).